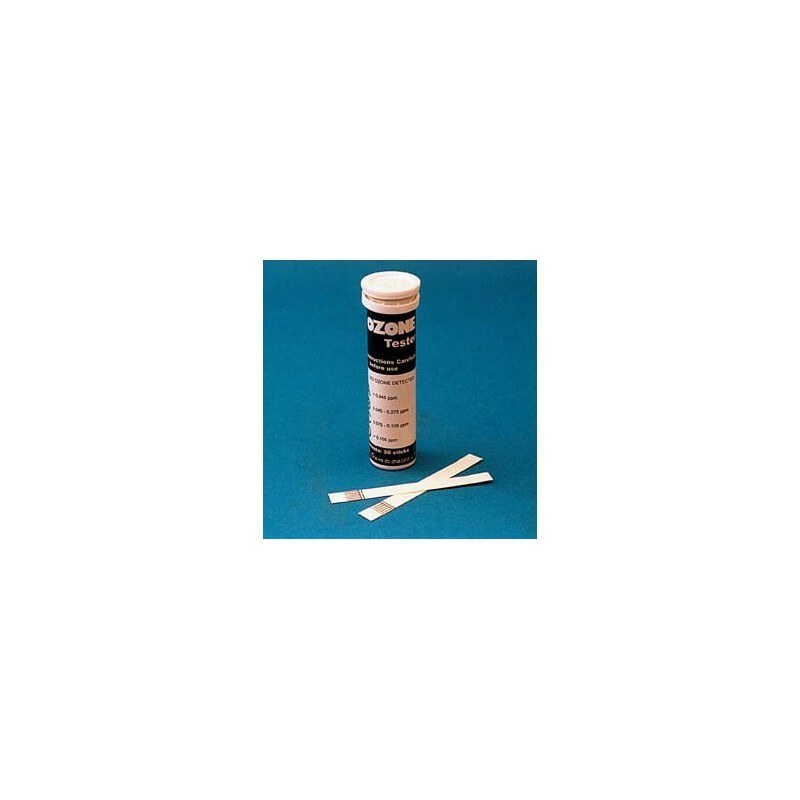 OZONE INDICATOR TEST STRIPS are a convenient method to measure ozone concentration in the air. 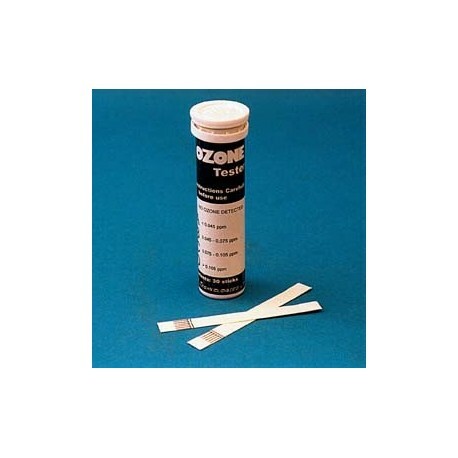 Chemically treated plastic strip with test paper sealed at the lower end changes color to correspond with the present ozone level. Compare the strip's color against the 4-stage chart to obtain a reading of present conditions. Note: The measuring ranges are valid for a relative atmospheric humidity of 30 to 60%. Humidity values below 30% can cause lower ozone measurements, humidity above 60% can cause higher measurements than are actually present. 12/set.